I found the secret trick to self-promotion. At least I think I did. But whether I did or not, I find it hard to do. The trick to self-promotion is not really a trick at all. 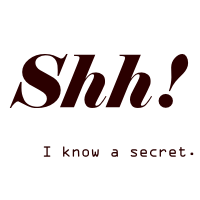 Nor is it really a secret. The thing is to get other people to do the promotion for you. That way it is not self-promotion. It is others promoting you. Or your product, or whatever. It is the old concept of word of mouth. And on the internet, word of mouth is king. It is just not called word of mouth. The concept of word of mouth on the internet is social media. That I do know. I should have known that a long time ago. After all, promoting my writing was the reason I joined up with Facebook and Twitter in the first place. I was not really trying to connect with friends and colleagues at first. It was just a great benefit. The problem is that over time, my social media time has become my digital voyeurism or vicarious living time. Instead of mostly promoting my writing and checking a little to see what other people are doing, I check a lot to see what other people are doing, like a few pictures and statuses, watch a few videos, and generally watch other people live. Or at least watch them post about living. Then, I do a little promotion of my writing. I find myself doing the social media promotions sparingly rather than prodigiously. Which means that I do not get my friends unfollowing me because I promote my writing too much, but neither do I get many new followers because I am promoting myself enough. Nor do I get people to retweet, repost, retweet, like, retweet, or otherwise interact with my social media. I suppose it is because I am not doing something about it every day like all the experts say to do. Then again, they also say that I am supposed to put out a quality product. I am not sure I do that either. But back to the secret trick. I have found that content does not really matter that much. I have written about similar topics two weeks in a row and had fewer “interactions” the second week than the first. I have written about completely different topics two weeks in a row and had exactly the same results (few readers) each week. Even writing about celebrities has had mixed results. Unless they happen to be local. Which speaks volumes to what writers always talk about. (Sorry about the about Marc.) Writers need to know their audiences. One thing I ought to remember is that I know my audience fairly well. And I should. After all, I know almost all of them personally. I have worked with some. I have taught and/or coached some. I am friends with some outside of the internet. And most of the rest are my relatives. Oh sure, I have a few followers who just happen to see something they liked that I wrote one time, but by and large, I know my readers. And it seems that when the two readers who read every week (thanks Marc and Mike) either like or repost or somehow promote me to their friends, people read. And when more than just those two and more than my friends and relatives do the same, I get even more readers. And sometimes even a few more followers. So thanks to Marc and Mike and the rest of my unnamed readers, I have built a following. And it has grown a little over time. Now, if I could just get others to mention me in their social media circles, I might get a few more readers here and there. Of course, I will need to put out some quality content, but hopefully with a few more posts under my belt that will come too. I am sure it is not a secret, but self-promotion and letting others promote you is surely the key to developing a digital following. I just wish I could follow my own advice and use that secret trick.